A little FAITH & WHISKEY can go a long way, and this is truly one of our favorite drinking establishments in the Lincoln Park neighborhood of Chicago. You will find his one situated between North Southport Avenue and North Wayne Avenue. 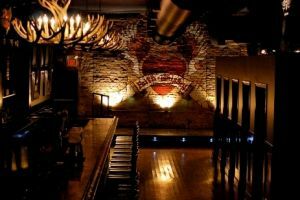 The biker bar atmosphere is one that is unrivaled by any other bar in the area, with the guitars mounted around the bar and of course the signature chopper style bikes. They've got great drink specials every night, including one buck domestic beers and four buck Jack Daniels on Thursdays. Also if you're looking for a place to catch those pay per view UFC fights, Faith & Whiskey has you covered.